With only 33.4 square miles and about 8,000 residents, Spanish Fort is one of the smaller towns in Baldwin County. However, new developments are popping up on a continual basis and we’re seeing population increases every year. There really is something special about this town. 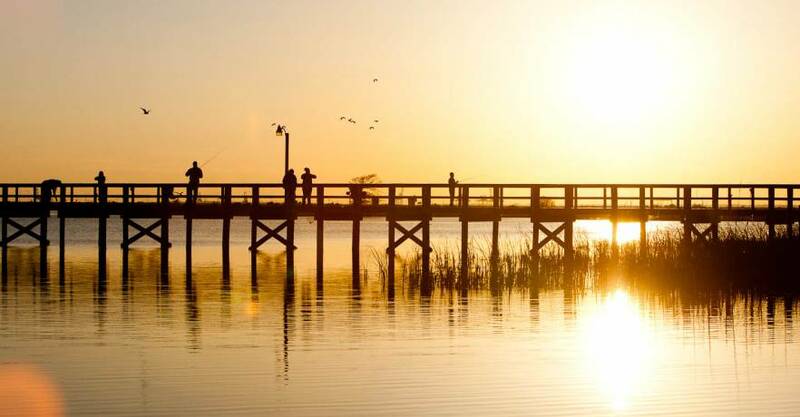 Spanish Fort is located adjacent to Mobile Bay so you don’t have to go too far to experience great seafood, go fishing in the Delta, or enjoy the natural beauty of the area. There’s also an abundance of shopping within just a few miles away. Many people who live in Spanish Fort work in Mobile. So, if you’re considering a move and you work across the bay, Spanish Fort is ideal. If you’re not familiar with the area, there are 2 ways to get across the bay: Interstate 10 (the Bayway) and the Causeway. They run adjacent to each other so you have a choice based traffic and your destination. On a side note, the interstate runs through the shopping district. All of the neighborhoods of Spanish Fort are set away from the interstate so you won’t have to worry about traffic noise. Because of the town’s location, you can be in Mobile in 15 minutes and Pensacola in about 45 minutes. Another reason why folks are moving to Spanish Fort is the school system. According to GreatSchools.org, Spanish Fort Elementary, Middle, and High School all have an above average ranking. Rockwell Elementary has a ranking of 9 out of 10. In addition to academic high standards, these schools also have a vibrant sports program and other extra-curricular activities for kids. 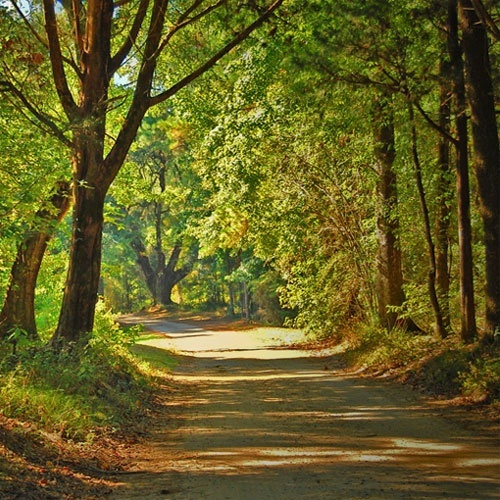 Located along the Mobile-Tensaw Delta, Blakeley State Park offers 2,100 acres of pure nature. Things to do include hiking, biking, camping, delta cruises, horseback riding, cabin rentals, and canoeing. This wonderful park definitely makes the list for reasons to move to Spanish Fort. The Eastern Shore Centre is the second largest shopping district in Baldwin County (the largest is Tanger Outlets in Foley). This shopping mecca consists of approximately 100 anchor stores, smaller local and national stores, and restaurants. From oysters on the half shell to Barnes & Noble, there’s something for everyone here. 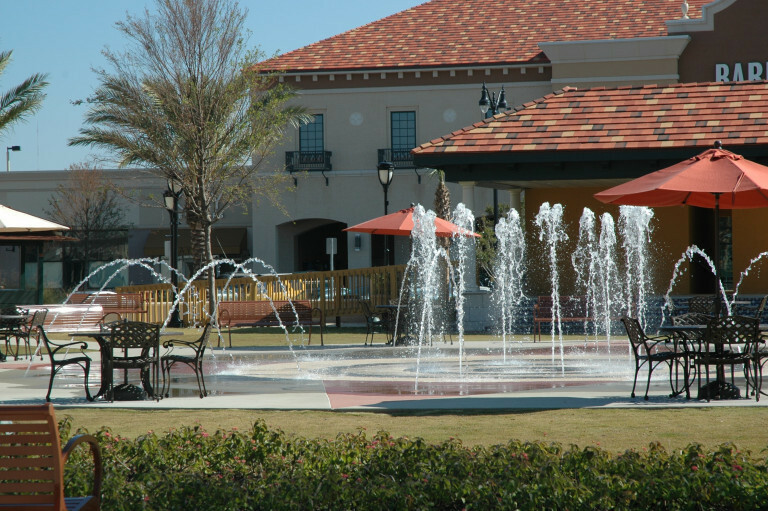 Located on the other side of town is the Spanish Fort Town Center. This shopping district contains 3 anchor stores (Bass Pro, Kohl’s, and JCPenny), many smaller stores, restaurants, and an area for the kids with a splash pad. Although Spanish Fort is not that big in comparison to other cities, there’s no shortage of places to eat. You definitely have choices that you would expect like American, Mexican, and Asian cuisines but the emphasis is absolutely on Seafood. Ready for a unique experience? 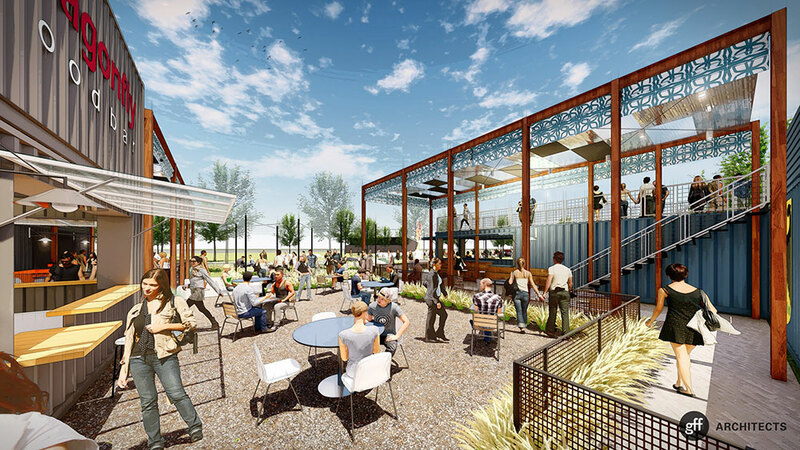 Expected to open in early 2019, The Fort will consist of 8 re-purposed shipping containers that will offer goodies such as craft beer, coffee, pizza, tacos, and burgers. Looks like a great new hang out! Spanish Fort is heavily wooded with thousands of acres of mature trees. That along with the rolling landscape and abundance of water views, the area is sure to bring more peace and tranquility into your life. This is Spanish Fort’s newest park and it’s top notch! Here you’ll find 3 multi-purpose fields for youth baseball and softball, 8 lighted tennis courts, walking paths, and picnic areas. One of the true gems of lower Alabama. This 81 acre complex allows visitors to explore nature and exhibits, go canoeing, take a delta safari, and much more. Admission is free, giving you yet another reason to move to Spanish Fort. Meaher State Park is a massive 1,327 acres where you can hike, fish, canoe/kayak, or stay in one of its 61 campsites. The image that you see above is a 200 foot T-shaped pier that offers plenty of room for fishing or to just take in the incredible sunsets. Admission is a meager $2 parking fee. Well, this is my expertise. Because of the demand, there has been many new developments spring up over the past few years. However, even though the demand is there, prices are not increasing drastically like you would think. There is a slow and steady appreciation each year but you can still purchase a brand new, quality built home for as little as $225,000. 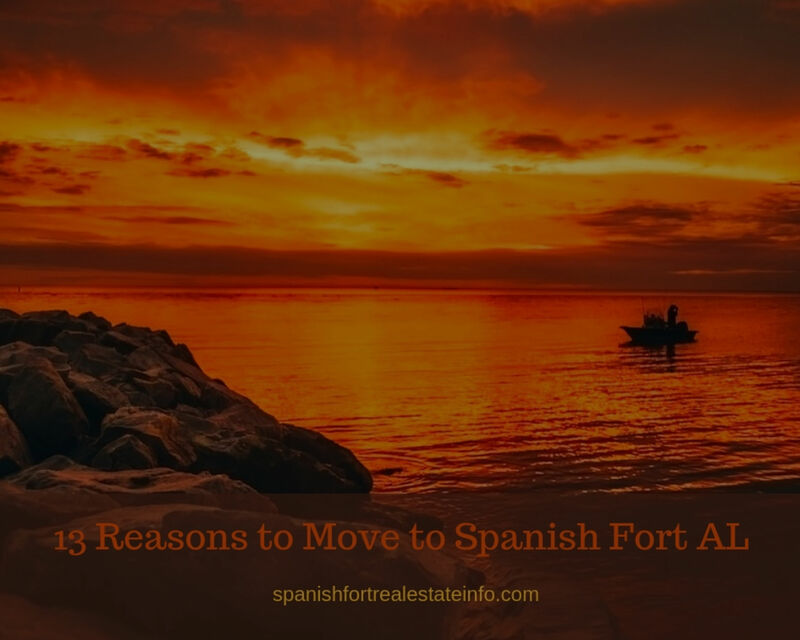 There are many options in Spanish Fort as well as existing homes. 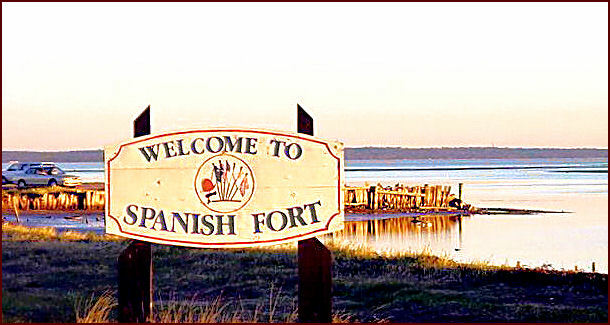 Please visit Moving to Spanish Fort for an extensive article that goes into great detail about this great town. I’ve laid out 13 reasons to move to Spanish Fort but I’m sure there are more. I actually live here myself and love it. If you’re considering making the big move to our wonderful town, please contact me to discuss your needs.